Allows mass utilization at automatic filling and at site and provides easy transport. Its use is extensively preferred since lime put inside paper sack is kept undecomposed for long periods due to papers natural structure... Creates a difference in retail sector with its printing quality. Prevents pollution at site due to its environment friendly nature. 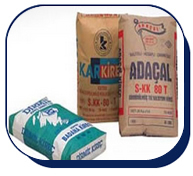 and for similar products, 10kg, 25kg valve hexagonal bottom sacks are recommended.